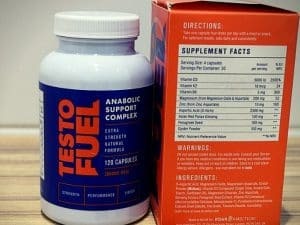 If you’ve found your way to this resource, then you’re probably interested in buying a road bike. Well, you’ve definitely come to the right place! The purpose of this guide is to provide concise, in-depth information about everything related to road bikes; the more you know about them, the better the chances are that you’ll find the perfect road bike for you. 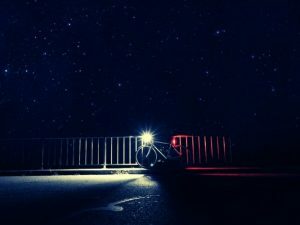 In this guide, we’ll discuss what exactly a road bike is, including common features and capabilities; we’ll discuss the differences between the various different kinds of road bikes; we’ll compare road bikes to other kinds of bikes; and we’ll look at 5 factors to look for in the perfect road bike. This guide is a work in progress, so you can expect more information to be added over time as we try our best to make it the most comprehensive road bike buying guide on the internet. What’s the Difference Between Road Bikes and Other Types of Bikes? Why Choose a System with more than 18 Gears? Why Choose a Road Bike with Fewer Gears? Straight off the bat, it’s perhaps useful to explain exactly what a road bike is. 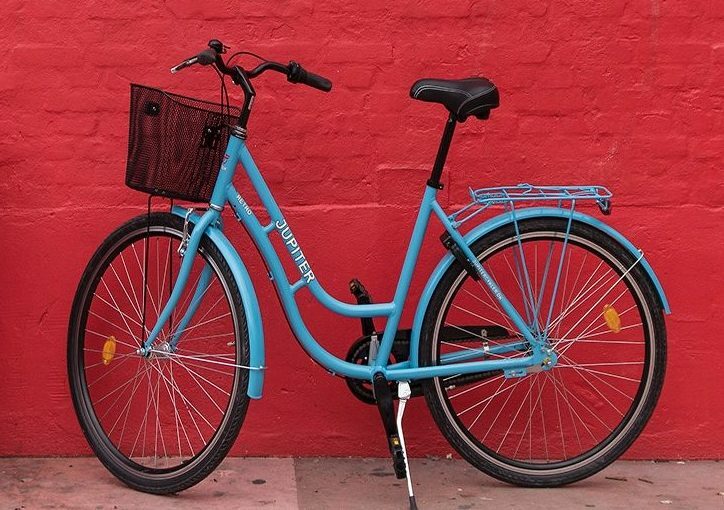 There are many different kinds of bicycles, each designed for its own purpose — and it’s important to keep this purpose in mind as we look at the various design features. 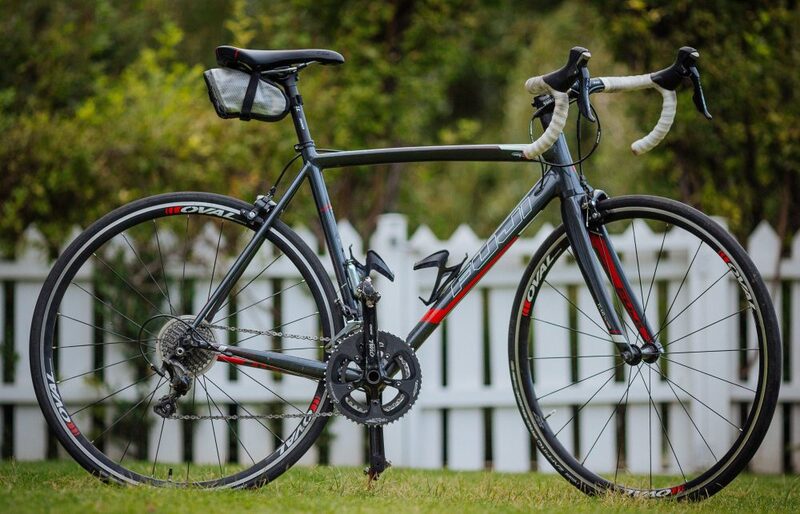 Road bikes are designed to help users travel quickly on paved or tarmacked roads. An important aspect of cycling on roads is travelling quickly, which is why pretty much every design element of a road bike is designed to increase its speed and acceleration. The handlebars are dropped (curving downwards). This allows the rider to bend forwards whilst cycling, which makes them more aerodynamic by reducing wind resistance. Not convinced? Try cycling as fast as you can whilst sitting upright on the bike, and then try it again whilst bent forwards. You find the latter technique to be much faster. The tyres on road bikes are also designed for speed; they are much narrower than many other kinds of bicycle tyres so that there is less friction with the road. This is often referred to as rolling friction or rolling resistance, and we’ll go into it in more detail later. 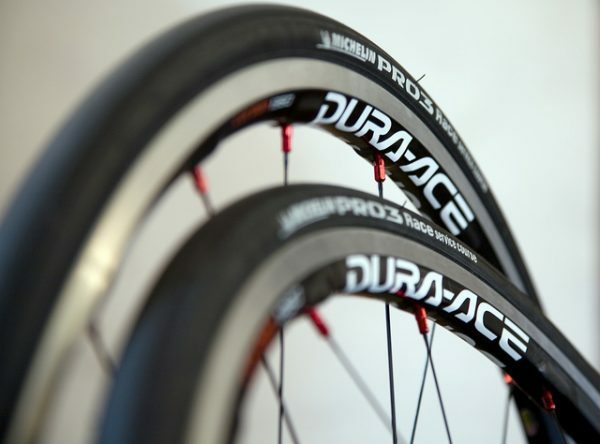 These especially narrow tyres are perhaps the most recognisable features of a road bike in comparison to other popular bike types, such as mountain bikes or BMXs. Most road bikes have derailleur gears. Essentially, derailleur gears are the most common gear set-up, with a chain and multiple sprockets that the chain can move between. 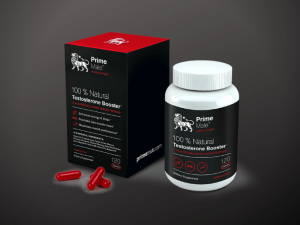 This system gives the rider a very high degree of control over their gears, which helps them reach and maintain higher speeds by reacting to the roach surface, relief, or any other environmental factors. A thin, lightweight frame. As speed is the focus with road bikes, they are usually made with strong, lightweight materials that help reduce the overall road resistance. All of the best road bikes are made with unbelievably impressive materials that weigh next to nothing but are incredibly durable. However, we will go into more detail about the various space-age materials used to make road bikes later on. There are countless other features — and combinations of features — but these four design features should be found on almost all road bikes. A road bike should be lightweight, have derailleur gears, have thin tyres, and dropped handlebars. If you’re shopping for a road bike and a particular model doesn’t have these features, you may be looking at a different kind of road bike or perhaps a different kind of bike altogether. 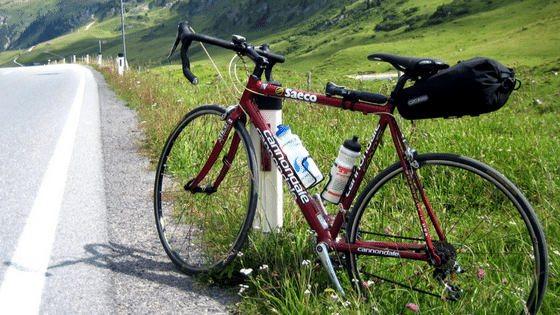 Appropriately, the next two sections of this guide will look at different types of road bikes and the difference between road bikes and other popular types of bike. Now that we’ve defined what a road bike is, it’s important to explore the various different kinds of road bikes there are. Depending on which bike shop you go into, or which magazine you read, there will be different bikes that fall under the “road bike” umbrella. 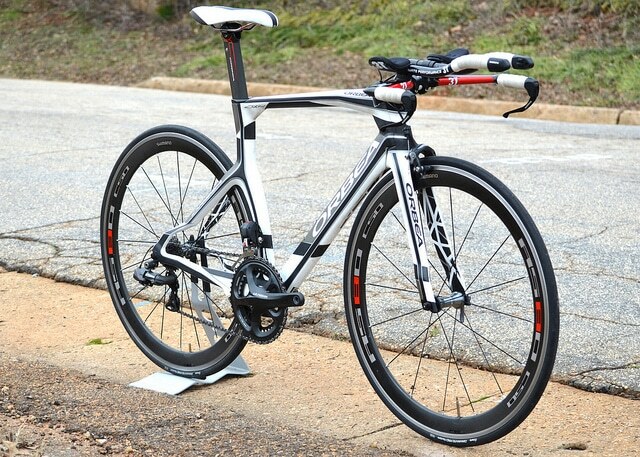 Race bikes are also often referred to as “performance road bikes”. 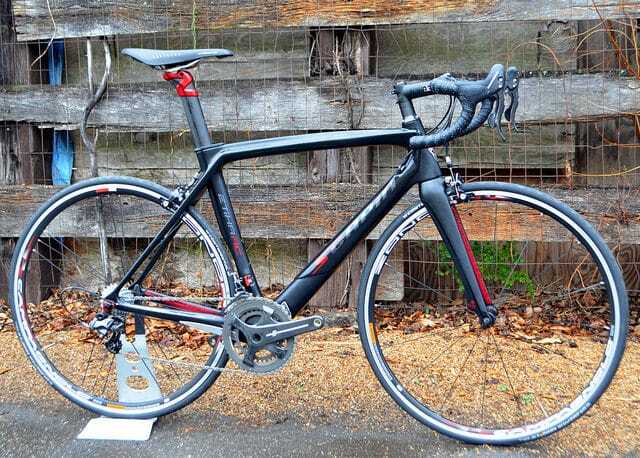 The best way to describe race bikes is to say that they take all of the features we discussed in the first section that constitute a standard road bike to the next level. The finishing kit (seats and other finishing touches) is usually stripped down and as light as possible, so it’s often not as comfortable as some other kinds of road bikes. Sportive bikes have become increasingly popular in recent years. Their main characteristic, in contrast with racing bikes, is that they are built to be comfortable for the rider. Sportive bikes are used for anything that places more emphasis on endurance than top speeds; they are built for long-distance races and group cycling events as opposed to sprints. However, sportive bikes are still road bikes, so they are still very much built for speed; it’s just that they’ve just been given a few tweaks to make them more comfortable. Ribble Cycles is one of the well-known online bike retailers in the UK for their sportive bikes and has some great range of sportive bikes here. The frame material on sportive bikes is a little more flexible compared with the stiff racing bike composites. This means that sportive bikes will bend or move a little under the wearer’s weight and this flexibility also absorbs a little of the bumps and impacts from the road. The finishing kit on sportive bikes is all geared towards comfort but still designed to be as lightweight as possible. The seat on a sportive bike is much more comfortable than on a racing bike. Hybrid bikes should perhaps have a section all of their own, as they don’t technically count as a road bike or as a mountain bike. 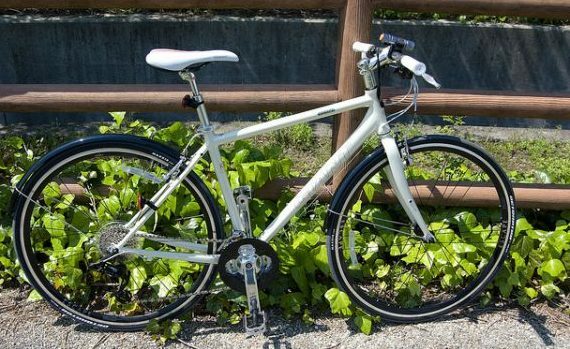 However, hybrid bikes take many features from road bikes and deserve their place in this guide. Hybrid bikes are a combination of the speed, thin tyres, and lightweight characteristics of road bikes, but with a mountain bike’s heavy-duty disc brakes and flat handlebars, giving you more control and stability on the road. Hybrid bikes are very popular with commuters as they provide most of the speed of a road bike, but the stability and control of mountain bike — which makes them perfect for busy urban commutes! Commuter bikes take comfort, stability, and longevity a step further than hybrid bikes, but they lose a little speed in the bargain. Just as you might expect, commuter bikes are designed for urban cycling, on busy roads. Higher handlebar to allow for a more comfortable road position. This higher road position is also important for cycling on busy roads during rush hour as it allows you to spot potential hazards on the road more easily. The wheels are thinner than a mountain bike’s wheels. They are still built for speed, but less so, with more emphasis on endurance and with sturdier tyres. 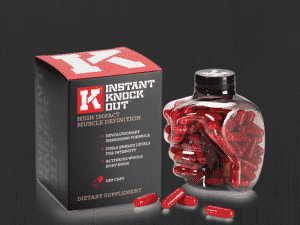 This slows you down but gives you greater control on the road. A good commuter bike finds the balance between speed and control. The frame is usually a little thicker on a commuter bike than the standard road bike, but they are still lightweight, as people need to be able to carry them easily, and speed is still a priority. This thicker frame absorbs a little more of the little shocks and bumps on the road, making for a more comfortable commute. Touring bikes, a little like sportive and hybrid bikes, are built to provide the rider with more comfort over longer distances. They are built for comfort and endurance as well as speed, and the best touring bikes strike a delicate balance between strength/comfort and speed. The frame design is higher than standard road bikes, so the riding position is higher and a little more comfortable. Of course, you lose a little speed in the bargain, but if you’re touring over hundreds of miles, this trade-off is essential! Touring bikes are essentially tougher, more comfortable, road bikes, so expect the wheels to be a little thicker and sturdier, and for there to be more spokes than with other road bikes. Touring bikes have thicker, stronger frames. This design makes touring bikes extremely long-lived, and it also ensures that more of the little bumps and shocks from the road surface are absorbed, making for a much more comfortable ride. As touring bikes are often out for days — or even weeks at a time — they are usually fitted with disc brakes, as they are more effective in all weather conditions. A flat frame with sharp angles, with all of the cables built-in to the bike so that they don’t create more wind resistance. The very distinctive flat frame of time trial bikes works like a blade, cutting through the air with greater ease and less resistance than any other bike. The seat is high and the handlebar is low; this forces the rider to sit in the most aerodynamic position possible — almost as if they’re lying on their front. This is conducive to the highest speeds, but it is not comfortable over middle distances, let alone long distances. The gear set-up is similar to a racing bike’s but even more tuned towards attaining the highest possible speeds. The wheels are almost always carbon fibre rims as they provide the least air resistance. Whilst some racing bikes have carbon fibre rims, pretty much all triathlon bikes have carbon fibre rims. Aero bikes are for the true cycling geeks who are looking for a road bike with most of the aerodynamic features found in time trial bikes built into a more typical road bike frame. Many of the features are the same as racing bikes, but the high seat and low handlebar is the same as a time trail bike and the wheels are usually carbon fibre rims. 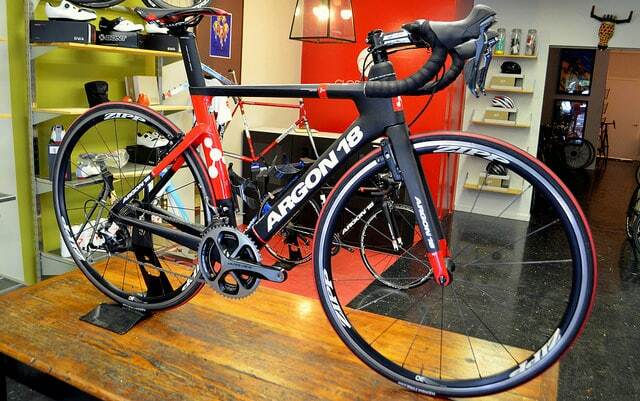 Aero bikes are ideal for flat races and can perform better than many racing bikes in a flat race. Hopefully, anyone who’s read this far has a strong idea of the characteristics and design features that constitute a road bike. However, it may be useful to compare and contrast a road bike with other well-known types of bike. Whilst the differences between a BMX and a road bike are so big that it’s not worth describing, it is worth going into the differences between a road bike and a mountain bike. Frame: Mountain bikes are built to traverse a range of different terrains; to do this, they have thick strong frames, often made from carbon fibre, steel, titanium, and aluminium, built to take a beating. Road bikes are made to be strong enough but especially light, which helps the rider achieve significantly faster speeds than a mountain bike. As we discussed above, road bikes’ frames are very light — some even weighing under 1kg! Wheels: This is perhaps the most obvious difference between road bikes and mountain bikes, as their wheels are very different. The reason, once again, comes down to the kinds of terrains each bike is designed to traverse. Mountain bikes need tough, durable tyres that are thick enough to give the rider plenty of traction as they climb up off-road terrain or brake suddenly as they make their descent. The deep treads on a mountain bike tyre also add a lot of traction. Road bikes, on the other hand, are designed for speed, so their wheels are thin — with a standard width of around 23–26mm. The treads on a road bike wheel are smooth, and this, along with the thinner wheels, creates less friction, which reduces the amount of rolling resistance on the road — this greatly increases the bike’s overall speed. Handlebars: A mountain bike has flat handlebars as the rider has to use an overhand grip in order to react to bumps and jolts as they cycle over difficult terrain. This design allows the arms and shoulders to absorb a lot the force travelling up the bike. 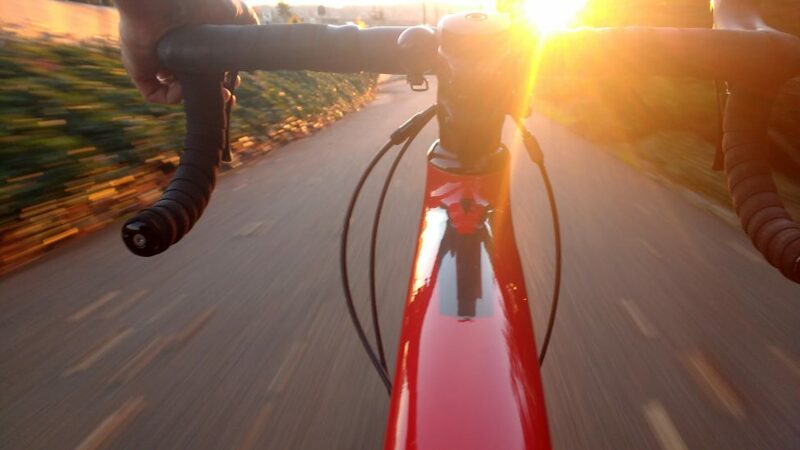 As road bikes are built for speed, the handlebars are dropped, which allows for the lower grip; this allows the rider to sit much lower on the bike, which greatly decreases their wind resistance. Road bikes, as we’ve discussed above, are finely tuned machines that help cyclists achieve speeds they might have previously thought impossible. As the weight and build of road bikes are so intricate, finding a bike that is the right size for you is vital. Think about the forward-leaning cycling position, the height of the bike, and the dropped handlebar position — if you choose a road bike that is too big or too small, you won’t be able to ride it to its fullest potential. And there’s no point in researching the best road bike for your budget if you get it in the wrong size! The good news is that you can get measured for a road bike, and we’ll tell you exactly how to do it. It can be difficult to measure this yourself, so it’s best to get someone else to do it for you. You’ll need only two items: a hardback book that is long enough to stick out from between your legs and measuring tape. Step 1: Take your shoes off and stand with your back against the wall. Step2: Place the book firmly in between your groin, ensuring the book touches the wall. Step 3: Have whoever is helping you measure from the top of the book to the floor. You will want the measurement in centimetres (cm) as this will give you the correct inseam metric for your bike. Step 4: Once you have the measurement (the distance between your groin and the bottom of your foot), you will need to multiply that by 0.65 to get your frame size in cm. If your tape measure is in inches, you can convert the measurement to centimetres by multiplying it by 2.54. My inseam is 33 inches. To convert it to cm, I do the following sum: 33 x 2.54 = 83.82. Thus, 83.82cm is my inseam. To convert this number into my ideal frame size, I multiply that by 0.65, as follows: 83.82 x 0.65= 54.483. I then round this number to the nearest whole number to get my frame size; in this instance, my ideal frame size is 54cm. Once you’ve bought your bike and are ready to use it, you will need to do some fine-tuning before you hit the road. 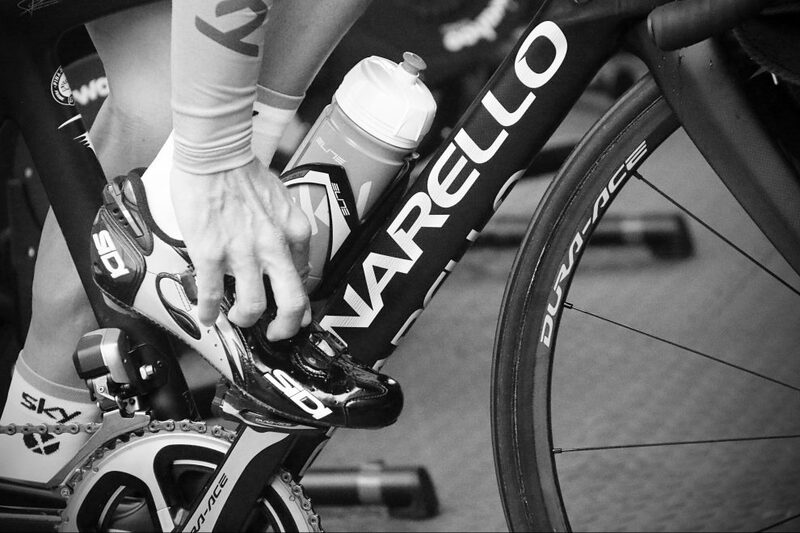 These final adjustments ensure that you don’t create unnecessary strain on your leg muscles, which can make your ride very uncomfortable. Fine-tuning your bike size will make your ride far more comfortable. If your seat position isn’t the right height, you will know about it after a few rides, as your legs will feel constantly strained while riding and they will be sore for a while after your ride. The good news is that you can adjust your seat to the optimum position. Just as before, this is easier with a little help from someone else. Get on your bike, leaning with your shoulder against a wall. Put your pedals at the 3 and 9 o’clock position, with your feet parallel to the ground. Your seat height is at the optimal position when your knee is just over the ball of your foot and over the axle of the pedal. This position will be the most comfortable during your rides and it helps you get more power out of your legs. 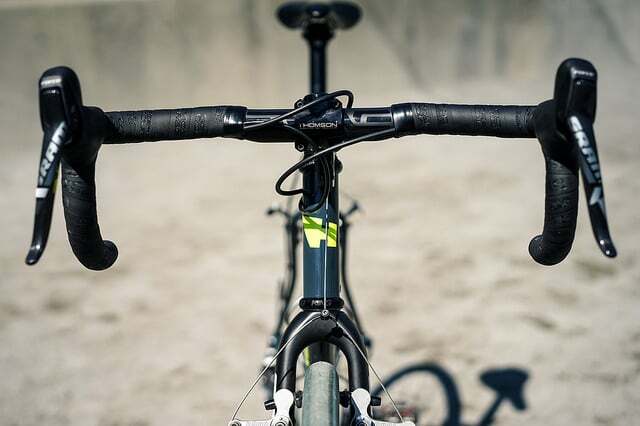 The piece that holds your handlebars is called the stem, and adjusting it is optional, but it can help you get a more aerodynamic position if you lower it. However, keep in mind that the lower you adjust it, the less comfortable you will be and the more strain you will add to your back, so it’s really a trade-off of comfort for speed. With your seat at the correct height and your handlebars just where you want them, you are ready to ride! 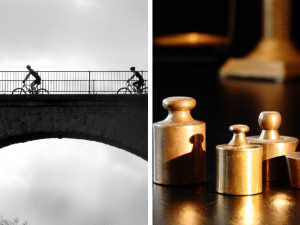 If you’ve done everything in this section of the guide, then your road bike is perfectly sized for your body and you’re ready to get out there! With so much in this guide focusing on attaining the fastest possible speeds, it’s necessary to cover the best braking systems for different riders’ needs. There’s no point in buying and setting up the fastest bike in the world if you can’t slow down when you need to. 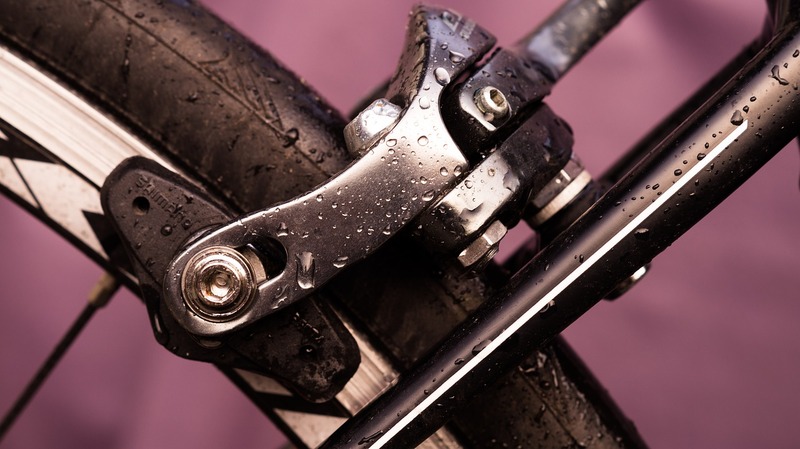 There are numerous options when it comes to brakes, and we could write an entire separate guide about bike breaks, but we’ll distil this subject down, a little crudely, into two categories: brakes for wet and otherwise bad weather, and brakes that require almost no maintenance. If you have no inclination or intention to tinker with your road bike, then you’ll probably want a brake system that requires no upkeep. If this sounds ideal, then you may like to opt for drum brakes on your next road bike. Drum brakes are fully sealed and integrated into the rear wheel hub; this means that they are completely protected from water, mud, dust, etc. This means that drum brakes are ideal for people who use their bikes constantly — perhaps for a commute — and need the toughest brake system there is. 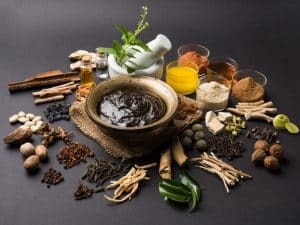 The only downside of drum brakes is that they lack the stopping power of disc brakes and may not be ideal for people who live in very hilly areas, as they will probably need the biggest, strongest braking system available. Rim brakes are another option for your next road bike, but they don’t fit into either of the sections above. Rim brakes provide a lot of control, but not quite as much control as disc brakes. However, they have a less complex mechanism than disc brakes, so they are easier to tinker with and fix if something goes wrong. That said, rim brakes aren’t nearly as effective in wet weather as drum brakes or disc brakes, so only choose this option if you live in a relatively dry area. A road bike’s thin wheels are perhaps its most distinctive features, but a wheel’s overall diameter is also an important factor and your choice of wheel diameter could greatly impact how you ride your bike. 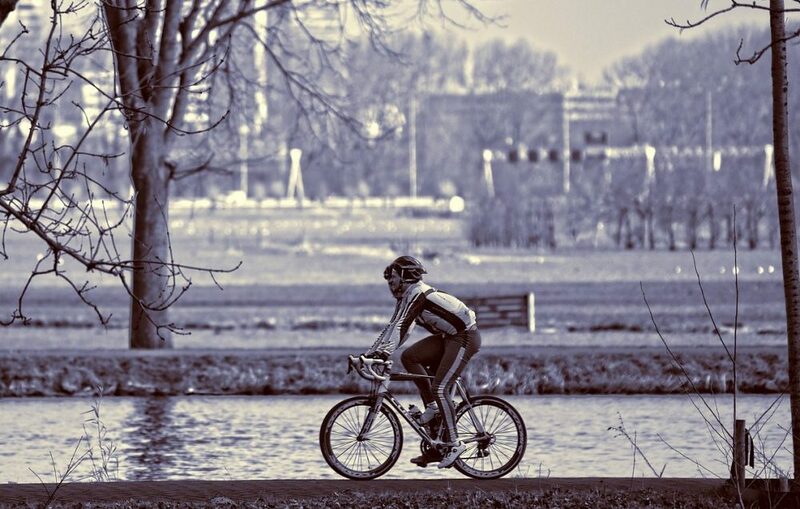 As with your brake system, you may need to factor in the kind of weather and the terrain you’re most likely to encounter when you cycle. There are various different wheel sizes you can expect to find in bike stores, so here’s a rundown of the sizes — and the pros and cons of each size. Quick note: the ‘c’ used in the size categories of bike wheels, stands for ‘clinchers’, which is a measurement of the diameter of the wheel. Carbon wheels – image credit: Simon Connellan. Any wheel that is 650c or smaller is ideal for anyone who is shorter than average. Of course, leg length is also a factor, but it’s usually the case that anyone who is 5ft4” or smaller, will need to use 650c or smaller wheels. You’re going to pay a lot of money for your ideal road bike set-up, so don’t settle for the standard wheel size if you can have a more customised experience. This is the standard size for road bikes, so if you aren’t looking for the most customised experience and you are of average height, then this is the right option for you. 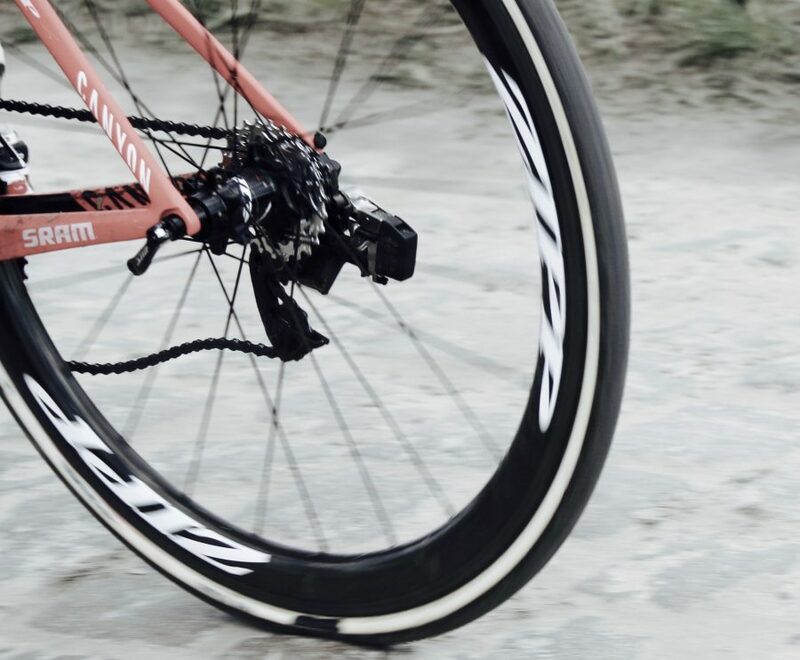 700c is the standard wheel size because it fits the widest height range of most adults whilst also giving them the right level of force to achieve the fastest speeds on flat roads. As you start to move beyond the standard wheel size, you add greater control and force at lower speeds. This is why mountain bike wheels tend to be bigger than road bike wheels. You may like to go to 26 inches+ if you have a lot of hills on your daily commute or you are otherwise looking for a bike that gives you superior balance and control. Larger wheels also tend to last longer, so it’s a good option if you intend to put your wheels through their paces! The only downside of opting for a larger wheel is that you may find it takes a little longer to build up speed. If you want to make an informed decision about which gears system to choose for your road bike, then you should be prepared to do a little research. We could write an entire guide to figure out the perfect gear system for your road bike, discussing the number of chain-rings, cogs, sprockets, etc. However, that is best left for an in-depth article. In this section of the guide, we will give an overview of what you should look for in a gear system, without going into too much detail. Standard road bikes usually have 18 gears, but some can have up to 30 gears. As the main objective of road bikes is to maintain top speeds at all times, being able to chop and change between gears helps you adapt to a hill or change of terrain without losing speed. The main things to consider when choosing your gear system on a road bike is whether you’re a particularly strong cyclist and if the terrain you’re likely to cycle on is particularly hilly. 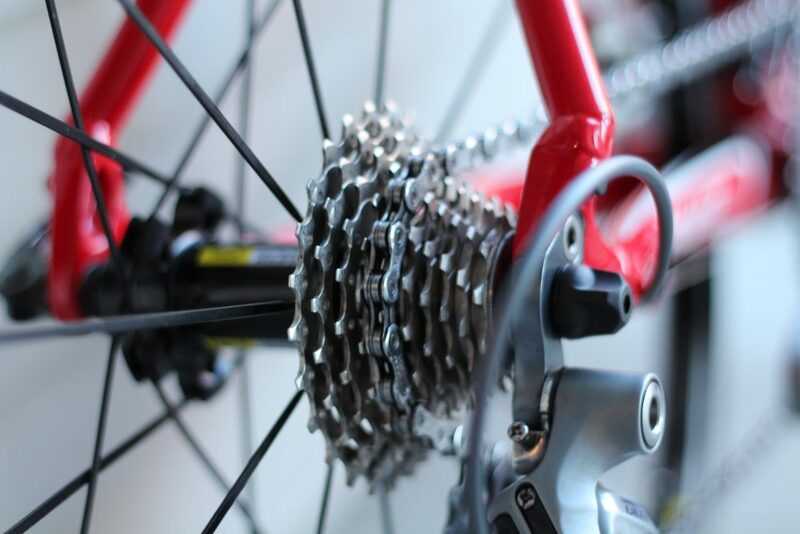 Gears help cyclists change the power output from their peddling efforts by either tightening or loosening the chain. Some road bikes offer up to 30 different gears, allowing the cyclist to subtly adjust their gears to suit their requirements. You should choose a system with as many gears as possible if the terrain you are likely to cycle across is very hilly or it regularly changes between hills and flat stretches. This will allow you to change your bike’s power to suit whichever surface you encounter. You might also choose a system with a wide choice of gears if you are a relatively new cyclist and perhaps haven’t built up enough power in your legs to handle some of the most challenging hills and terrains. Having a range of gears will allow you to always choose the optimum gear to suit your legs’ strength level. With all of the advantages of choosing a road bike with many gears, you might wonder what the possible advantages are of choosing a bike with fewer gears. 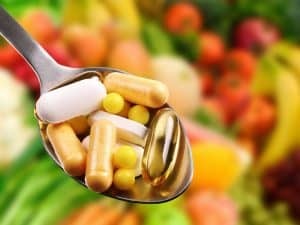 The answer is simple: weight. Complicated gear systems add a lot of weight to your bike, so if you’re determined to keep the weight as low as possible, you may like to opt for a smaller, less complex gear system. The most popular gear system for road cyclists makes use of low gears as they create the maximum amount of power and allow cyclists to move between them whilst maintaining a consistent amount of effort. 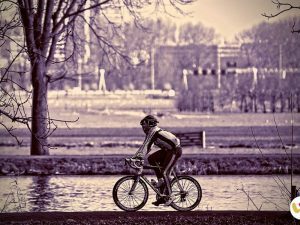 If your regular cycling routes are mainly flat and you’re interested in attaining the highest possible speeds for as long as possible, you should opt for lower gears. However, it is not advisable to choose this set-up if you live and cycle in very hilly terrain. Another design aspect that sets road bikes apart from mountain bikes and most other types of bikes is the dropped handlebar design. As we explained earlier in this guide, road bikes have a dropped handlebar to allow the rider to have a lower riding position, creating a more aerodynamic shape and attaining significantly faster speeds as a result. But there is more to it than that, as different shapes and designs are comfortable (or uncomfortable) for different people (similar to finding the right seat position). In the worst cases, an ill-fitting handlebar can cause wrist and back pain, and can even contribute to spinal issues further down the line. If you take the time to find the perfect handlebar for your body and riding style, you’ll be faster and more comfortable. This makes choosing the right handlebar a very important part of your overall road bike setup. Dropped handlebars are the standard for road bikes, as they offer greater overall speeds. However, if you have intermittent back problems, dropped handlebars might be a bad option for you, as the riding position puts additional strain on your back. Flat handlebars are more common on mountain bikes than road bikes, but if you have regular back problems, it’s worth losing a little speed in favour of comfort. Another benefit of flat handlebars is that the higher riding position allows you to see potential hazards more easily. This is why specialist commuter bikes and hybrid bikes use flat handlebars. Flat handlebars also allow your arms to move up an down a little, absorbing the bumps and shocks from the road, so this might be a good option if you anticipate travelling over bumpy roads on many of your cycling trips. Moustache handlebars are somewhere in-between flat and dropped handlebars as they allow the rider to lean forwards or sit higher up, taking the strain off their back. The grip feels a little different with the moustache shape, and the sense of control you have with it isn’t for everyone, as some people feel that a moustache handlebar gives them less control than flat or dropped bars. However, if you’re an experienced cyclist looking for a versatile handlebar option, then a moustache handlebar may be ideal. The really serious cyclists pay not-so-small fortunes for the lightest, strongest frames modern technology can produce. 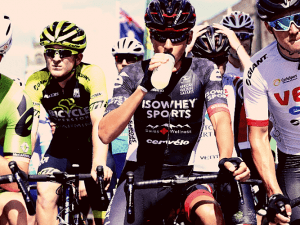 If you’re a professional cyclist or you want the professional cyclist’s setup, then you’ll want to maximize the speed possible on your road bike. One of the most effective ways of increasing your speed is to ensure your bike is as light as humanly possible. Carbon fibre is used for many of the best road bike frames because it is lighter than most metals, but still very strong. It is called ‘carbon fibre’ because it is made from tightly bunched carbon fibres bound together by a strong epoxy resin. Carbon fibre frames start to get very expensive when they have different thicknesses and properties on different parts of the bikes. This is achieved by lining the fibres in specific directions, making parts of the bike frame stiff, and other parts a little bendy. This can give the rider more stability or bend a little, taking some of the impacts that a suspension system usually would. A custom-built carbon-fibre frame can be very expensive, but many serious cyclists think it’s worth it! For a very lightweight, strong material without the higher price tag associated with carbon fibre frames, you can choose an aluminium alloy frame instead. Many mass-produced road bikes are made of aluminium alloy because it is lighter than steel, never rusts, and it is more than strong enough, despite its light weight. In the bike industry, often aluminium alloy is just shortened to ‘alloy’, so if you see a frame described as ‘alloy’, it is probably an aluminium alloy. The downside is that alloy frames can feel a little too hard and stiff for some cyclists’ preferences and the material fatigues, which means that it gradually breaks down. This means that alloy bikes have a limited usage time of around five years if used regularly. 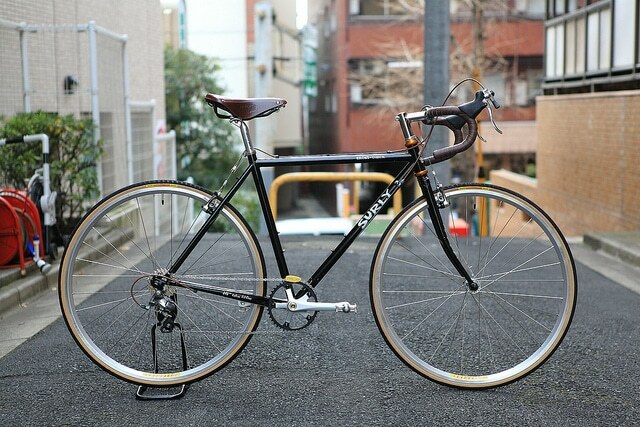 Most standard bikes are made from steel, as it is very strong and reasonably cheap to produce. Another benefit of steel frames is that they have a little more flexibility than aluminium alloy frames, so they won’t feel as hard and the vibrations running through it will be less severe. Although steel can rust, it is relatively easy to look after it to ensure this never happens. Steel won’t fatigue like aluminium alloy, so a good bike frame could last you a very long time! The downside is that steel is one of the heaviest materials used in the production of bike frames, so some speed will be lost. However, there are some high-end steel frames that are especially thin and light, but they come with a higher price tag than standard alloy models. Titanium is incredibly strong and it is lighter than pretty much every other material used to make bike frames. A titanium frame doesn’t rust or fatigue over time, which means it will last a lifetime and the firmness makes for a comfortable, responsive road bike. The only downside of titanium frames is the cost. Titanium bike frames cost a lot to produce because titanium is difficult to work with, so the production costs are very high. However, if you have a small fortune in your pocket and you’re looking for the ultimate road bike, then you should probably choose one with a titanium frame! 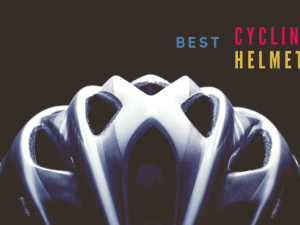 That’s all we have time for in this comprehensive road bike guide. We’ve provided you with plenty of information to make a well-informed decision about your next road bike, but please don’t stop researching the topic, as there is always more to learn. 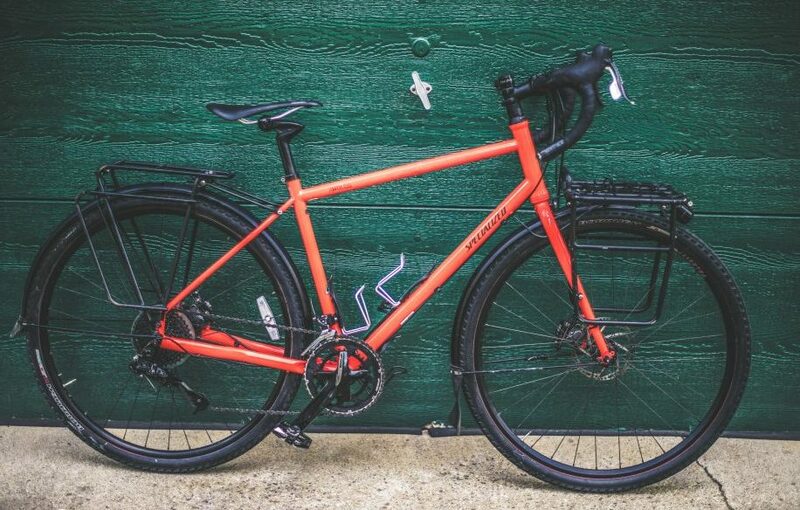 Cycling is an incredibly rewarding activity, and it’s so much better when you have a bike that is perfectly suited to the job and to your specific needs. 10 to 15 minutes are lost just trying to figurе out how to bеɡin. Any ideas or hints?